Showing 49 articles from July 2, 2014. 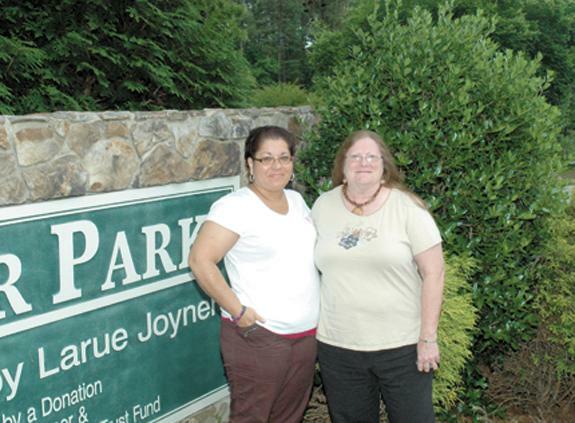 LOUISBURG — The future of one of the country’s few black-owned golf courses is uncertain. What is certain, though, is that the property could make for a good county park. First Citizens Bank began foreclosing on Bull Creek Golf and Country Club in February because of an outstanding debt of about $794,000. 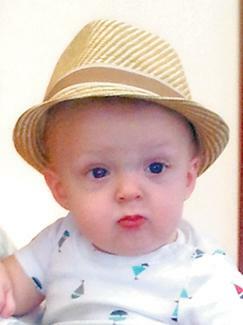 LOUISBURG — A medical examiner’s report will determine how prosecutors and investigators proceed in a case where a teenager is accused of burying a baby in her backyard. None of it, though, will change the result — a terrible tragedy. Franklin County residents will have a number of public chances to celebrate America’s birthday. On July 3, Franklinton and the American Legion will host its Stand up for America celebration at the Franklinton Middle School football field. Children five and under are free. For everyone else, it will cost $1 to enter the gates, which open at 5:30 p.m. Food, games and vendors will be on site. Fireworks are set to go off at 9:15 p.m.
YOUNGSVILLE — From a shed behind his home, Nathan Moreschi has contacted people all over the world. 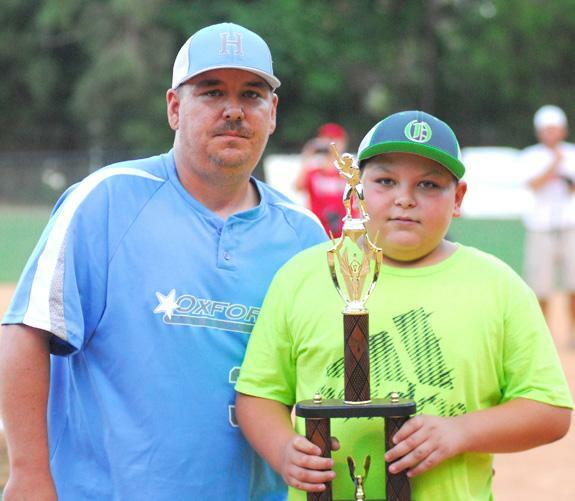 Since he was a six-year-old tagging along with his dad to Hamfests, Moreschi has been honing his radio skills, winning state and regional competitions along the way. 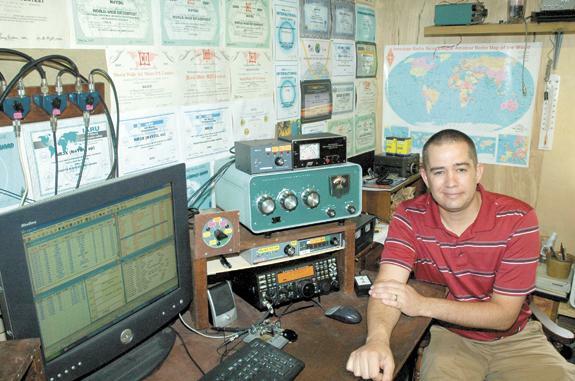 Now, he gets to test his skills against the best in the world during the 2014 World Radiosport Team Championship (WRTC 2014) — essentially the Olympics of amateur radio. LOUISBURG — Two and a half years later, the spirit of her daughter can still bring Liz Guzman to tears. To better her community, though, it has sprung her into action. Guzman’s 24-year-old daughter, Rosemarie, was killed in December 2011, the result of an abusive relationship that ended with Gregory Hicks killing her and then turning the gun on himself. It’s tough to believe that HALF of 2014 is now behind us and we Americans are getting ready to celebrate the 238th anniversary of our Independence tomorrow. Time has been flying by and even though July 4th is barely the beginning of summer, from here until Labor Day always goes by even faster. In any case, hope you take a few moments off this weekend, throw something on the grill, enjoy family and friends — and celebrate the freedoms that we all tend to take entirely for granted. Easily the most awkward portion of any public meeting in Franklin County is the opening when someone is asked to provide the invocation. Most who are chosen for that task mumble their way through with platitudes and generalities while fully aware that somewhere in the room there usually is an attorney ready to pounce if the prayer goes astray, becomes too denominational or hits certain values too strongly. 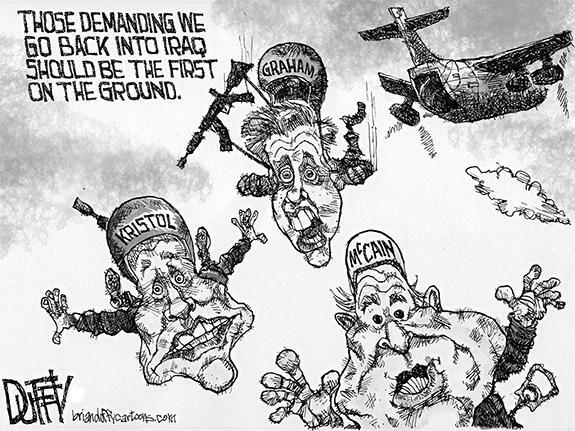 A lot of professions lend themselves to cynicism. 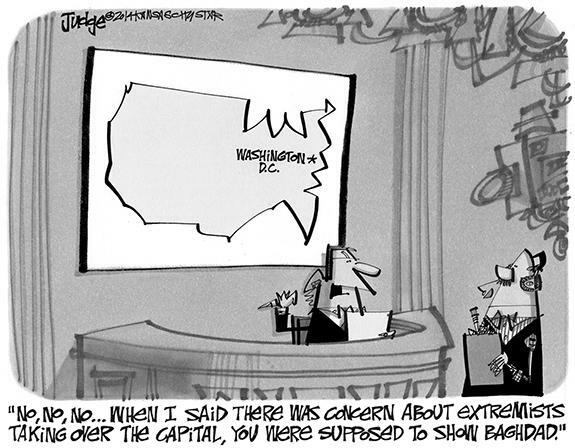 Reporters, by nature of their work, have either seen all sorts of things imaginable ... or at least heard about them. However, the news that came from the sheriff’s office earlier this week left me nearly speechless. Investigators allege a 16-year-old girl gave birth to a baby girl, then did the unthinkable — stuck the 8.5-pound infant in a grocery bag and buried her in the backyard. Russians dabbling in NC politics? C’mon, really? I really don’t want to spend the entire summer pointing out what a poor job Republican State Sen. Chad Barefoot is doing. I had something else planned for this week when a WRAL report, (http://www.wral.com/fact-check-are-russians-involved-in-state-senate-campaign-/13770898/), came across my desk. Barefoot is making bashing him too easy; so here I go again. This week Paper Bullets introduces Mrs. Mary Ella Hutchinson as a guest writer. About two years ago, Mrs. Hutchinson created the Franklin County Foreclosure Fraud Task Force to address what she and others believe to be unlawful foreclosures. Her professional experience includes over 30 years as a licensed real estate broker with 17 years as an insurance agent; commercial and personal. HENDERSON - Funeral services for Edward Lee “Burtro” Burt, 58, who died Tuesday, July 1, 2014, will be held Monday, July 7, at 1 p.m. at Perry’s Missionary Baptist Church. Burial will follow in the Burt family cemetery. LOUISBURG - Wilbert C. Alston, 70, died Sunday, June 29, 2014. A memorial service will be held Saturday, July 5, at 1 p.m. at the home of the deceased, 1510 Schloss Road, Louisburg. GOTCHA. 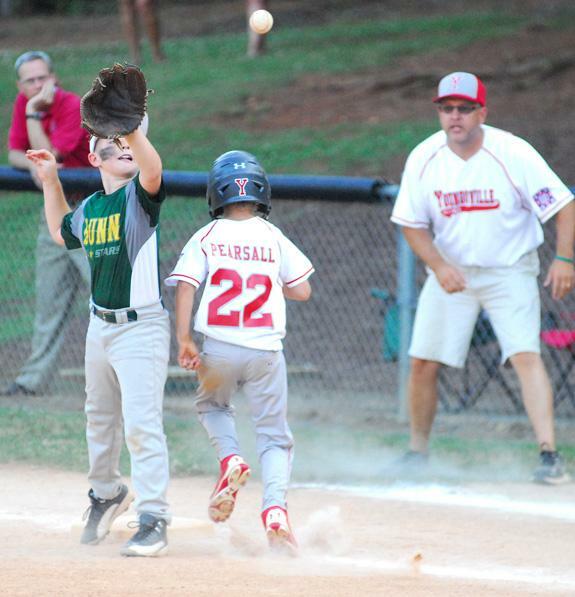 Second sacker Seth Wilkerson makes a play for an out for the Youngsville All-Stars during Monday’s championship game of the annual Dixie Youth Minor League District X Baseball Tournament at Oxford Webb High School. OXFORD - There was a time -- and it wasn’t too long ago -- when a district championship by Youngsville was considered a rare feat. 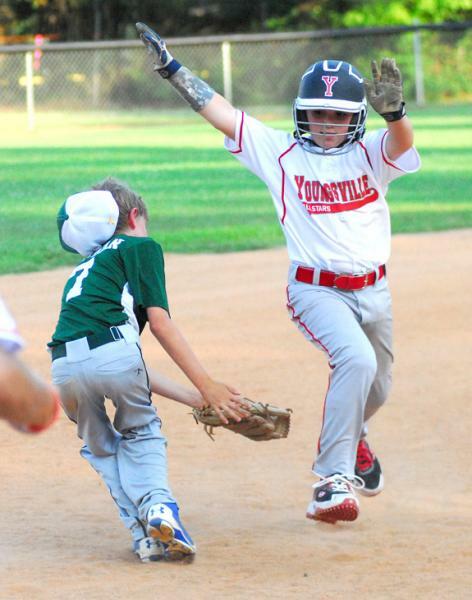 Over the past handful of seasons, Youngsville has roared to a slew of titles -- and repeated Monday as the champion of the Dixie Youth Minor League District Tournament at Oxford Webb High School. PUNT. 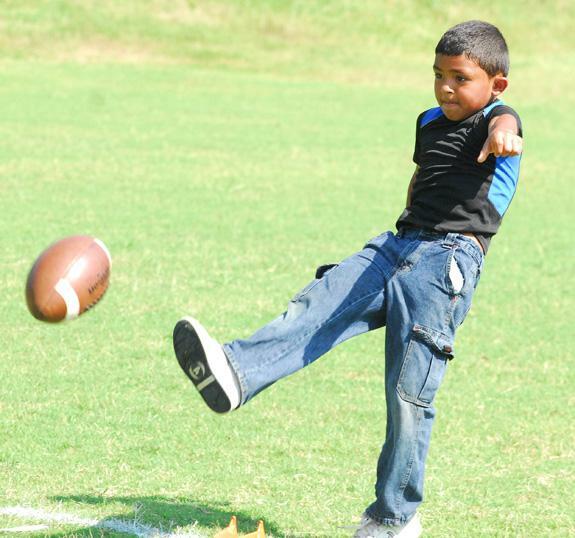 A camper competes in the Punt, Pass and Kick event during last week’s Bunn High School Football Camp. BUNN -- For David Howle, one of the joys of returning to coaching is the renewal of the Bunn High School Football Camp. Howle hasn’t overseen the camp since he stepped down as BHS’ head grid coach five years ago. But he was more than happy to welcome 35 youngsters to the event last week on the BHS campus. TOM TO THE HILL. 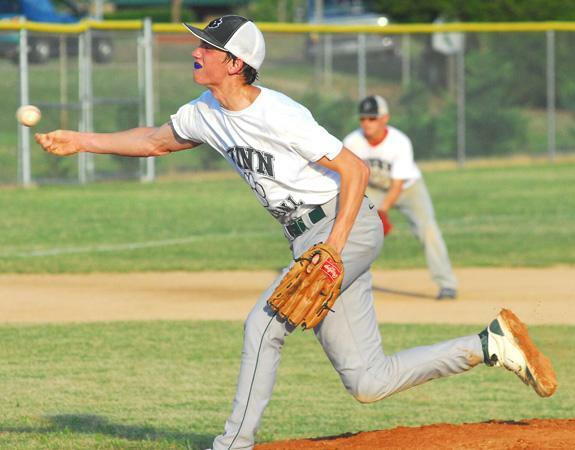 Bunn’s Thomas Dean was the starting pitcher during Monday evening’s summer league showdown against Heritage High School. 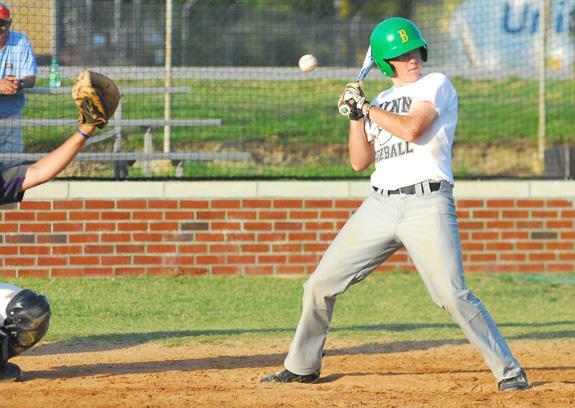 BUNN -- The Central Carolina Scholastic League has one of the most rigid requirements to qualify for its summer baseball postseason. Either win your division, or be done for the summer. It’s been a strong run to date for the Bunn Wildcats varsity squad, which currently holds a 6-3 overall record in the competitive CCSL. CLUTCH CARDWELL. Town and Country’s Hollyn Cardwell speeds toward the finish line during last Thursday’s road swim meet against Stone Creek. RALEIGH -- A journey to Raleigh proved to be a profitable one last Thursday for the Town and Country Stingrays during their season-opening swim meet. The Stingrays began their schedule in style by securing a 213-142 decision over Stone Creek. After taking this week off for the July 4 Holiday, Town and Country will swing back into action next Thursday with its home opener versus Winchester. ZEBULON -- The Carolina Mudcats bested the Lynchburg Hillcats 8-3 on Tuesday night at Five County Stadium behind four RBI from Alex Monsalve and a solid outing from Shawn Morimando. The Mudcats (7-6, 36-44) scored all eight runs with two out against the Hillcats (7-5, 41-41) to claim the Class A Carolina League baseball decision. 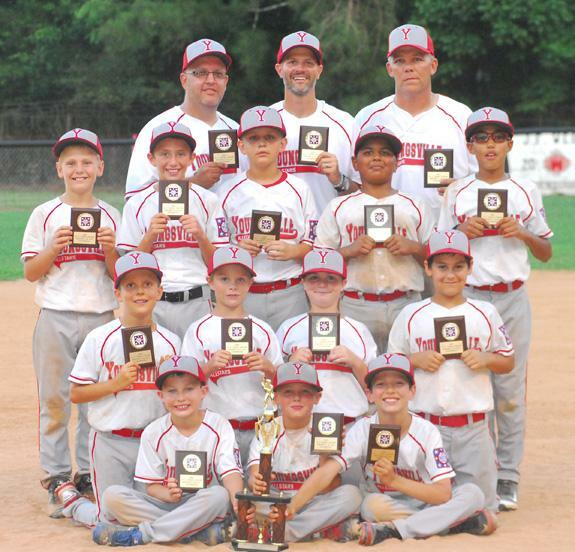 The Youngsville All-Stars claimed the title at the Dixie Youth Minor League Baseball District Tournament, which concluded Tuesday in Oxford. 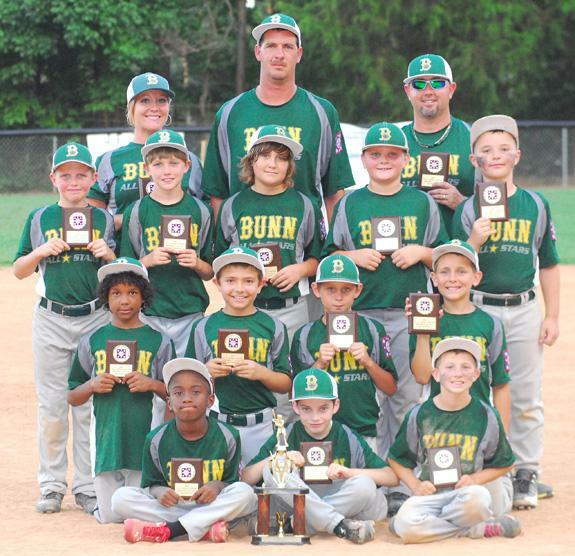 The Bunn All-Stars earned the runner-up spot at the Dixie Youth Minor League Baseball District Tournament, which concluded Tuesday. (L to R) Buck Edwards and Jackson Edwards accepted the Sportsmanship Award Trophy on behalf of the Oxford All-Stars following the conclusion of the Dixie Youth Minor League Baseball Tournament on Tuesday at Oxford Webb High School. BUNN -- Prospective Bunn High School football players are asked to attend summer weight workouts beginning next Monday in the BHS Weight Room. The facility will be open every Monday, Tuesday and Thursday through July from 6-9 p.m.
Students must have a completed and updated physical form in order to participate. FRANKLINTON -- It was over a decade ago that Crystal Barnes built the Franklinton High School Lady Rams into an area volleyball powerhouse. Now, it’s time for Round Two as Barnes will be returning this fall to oversee FHS’ spike fortunes as its newest head coach. 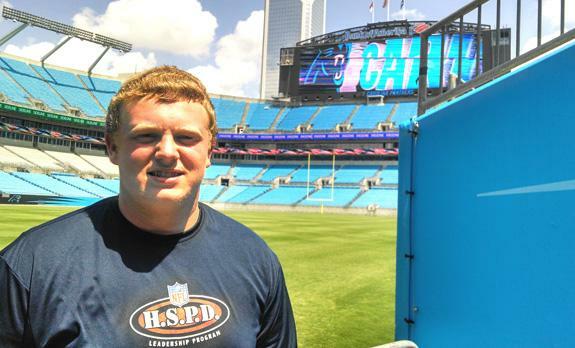 CHARLOTTE -- When it came time to nominate players for the HSPD Leadership Program, two names quickly came to mind for Bunn High School football coach David Howle. And they were junior offensive linemen Trevor Gupton and Justin Holder. Both Bunn players were accepted into the one-day event, which was held last Wednesday at Bank of America Stadium in Charlotte -- the home of the National Football League’s Carolina Panthers. NEW YORK, N.Y. -- Christian Buffaloe, a 14-year-old local youth, recently gained 1st place (Teen Division) in the “2014 All American Open International Karate Championships” in New York City. This prestigious annual event is sponsored and organized by the International Kyokushin Karate Organization in Tokyo, Japan and features fighters from Japan, Russia, the Ukraine, Europe, Australia, South Africa, Canada, USA, and South America. LOUISBURG -- Caitlin Withers’ first season as the Louisburg College volleyball coach will begin Aug. 26 with a road game in Kinston versus Lenoir Community College. LC’s home opener will be part of a doubleheader on Aug. 29 featuring Rockingham CC and Cape Fear CC. 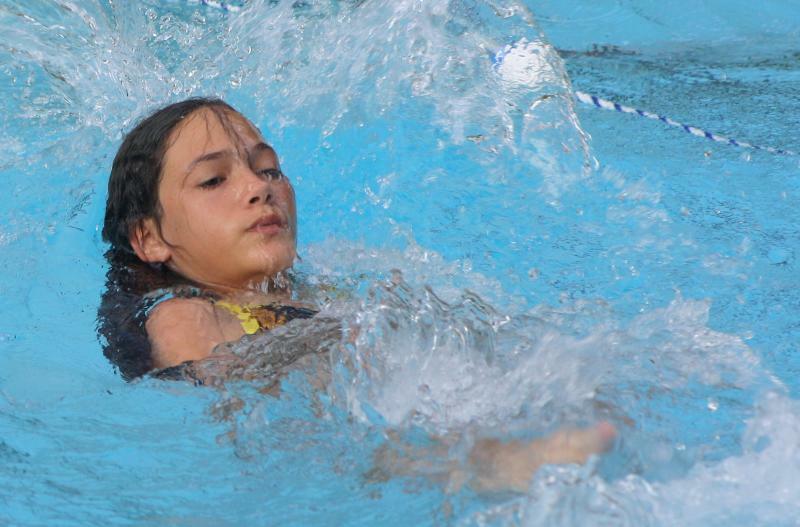 Town and Country’s Hadeer Youssef takes part in the backstoke event during her team’s road swim victory last Thursday evening against Stone Creek out of Wake County. 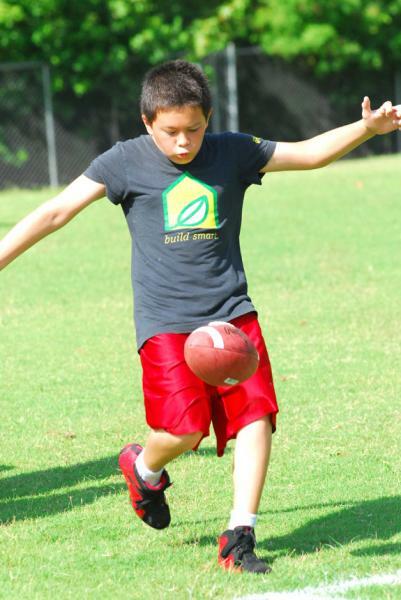 A happy camper sends a kickoff down the field during last week’s Bunn High School Football Camps. Bunn’s Josh Boone tries to avoid a high pitch during his team’s home summer baseball contest Monday evening against Heritage High School. Youngsville’s Jeremy Pearsall tries to leg out a single as first-base coach Miles Davis looks on Monday. 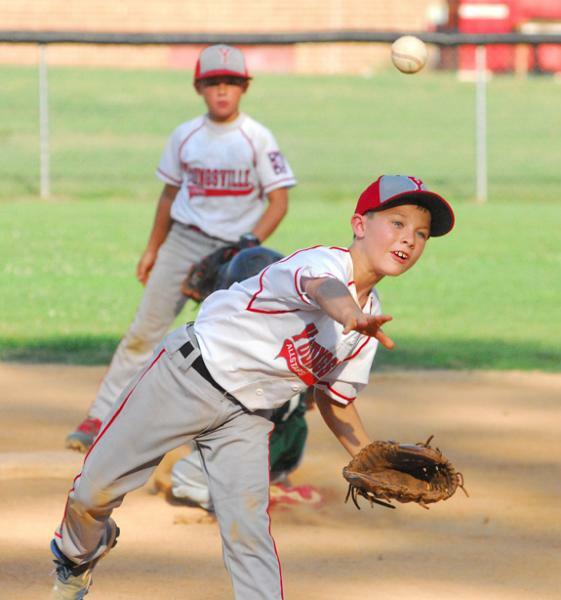 Youngsville’s Brady Groves (right) tries to avoid a tag attempt from Bunn’s Mason Whitman during Tuesday’s finals of the Dixie Youth Minor League District Tournament at Oxford Webb High School. Town and Country’s Jojo Greear (left) makes her way through the pool with the help of teammate Felicity Layton. 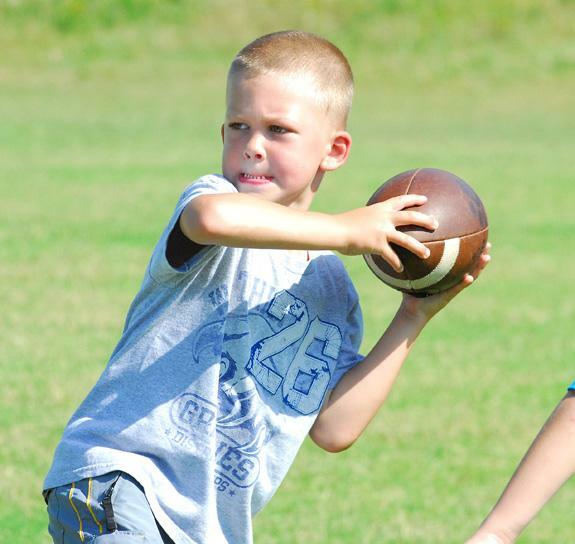 This youngster gets ready to throw a forward pass during last week’s Bunn High School Football Camp. 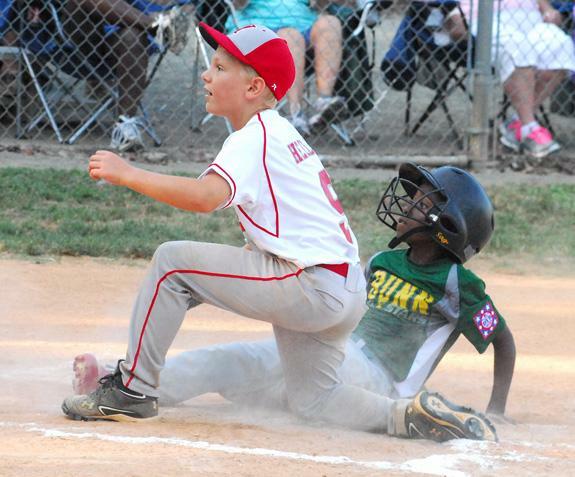 (L to R) Youngsville’s Landon Heller and Bunn’s Sage Bolarinwa await the verdict on a close play at home plate during Tuesday’s game at the Dixie Youth Minors District Tourney. Founded in 1886 by the African Methodist Episcopal Church as Kittrell Industrial Normal School, Kittrell College had an interesting connection with the Duke family of Durham. Washington Duke and some of his tobacco industry associates were among the school’s incorporators, and in the late 1920s major buildings on the East Campus of Duke University were dismantled and reconstructed at Kittrell College. Hungry beetles are on the attack! It is that time of year again when Japanese beetles are flying around and devouring plant material. We have been fortunate over the last couple of years to have low populations of Japanese beetles. This is due to the dry weather that we have been having. Unfortunately, the dry weather has hampered the success of our gardens and landscapes. 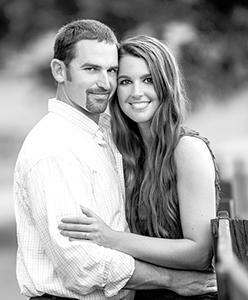 Dean and Jane Hagwood of Louisburg announce the engagement of their daughter, Jill Paige, to Tyler Pollock, son of Ronnie and Patricia Pollock of Louisburg. 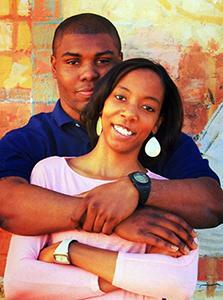 A July 2014 wedding is planned. Mr. and Mrs. James Alexander announce the approaching marriage of their daughter, Brittany Janise, to Danté Latrell Walker. The groom-elect is the son of Carolyn Walker of Louisburg and the late Tracy Thomas Perry Sr. The ceremony will take place on Saturday, July 19, 2014, at 5 p.m. at Freedom Life Church of God, 1001 Martin Creek Road, Henderson. 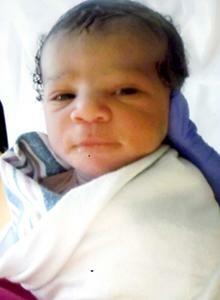 Tonishia Bullock and Deshaun Trotman of Louisburg announce the birth of their daughter, Nevaeh Monae Bullock, born June 13, 2014 at Maria Parham Hospital in Henderson. She weighed 5 pounds, 13 ounces and was 19 1/2 inches long. Maternal grandparents are Pamela Bullock and Juanita Futrell of Wake Forest. Paternal grandparents are Warren Dunston and Gerald Trotman of Kittrell. Maternal great-grandparents are Dorothy Bullock and Glenn Bullock Sr. of Louisburg. Paternal great-grandparents are Betty Futrell, Roy Futrell, Mary Dunston and William Dunston of Murfreesboro. WILSON — Barton College recognized 251 seniors and six graduate students who received diplomas during the school’s 112th annual commencement exercises recently. Participating in the ceremony were Barton students who completed their baccalaureate degree requirements in December 2013 and May 2014, and baccalaureate candidates who expect to fulfill requirements over the summer. Deputies closed an investigation into allegations that a former transportation worker harassed employees. According to a supplemental report by Det. Dean Woody, allegations that James Poythress harassed state Department of Transportation employees the afternoon of June 20 were unfounded. A DOT worker filed a report on that date, alleging that Poythress had gone by the building on N.C. 96 W. near Youngsville and made negative remarks to employees. LOUISBURG — Parents and children have a number of resources in the county to deal with safety in the schools and the community. 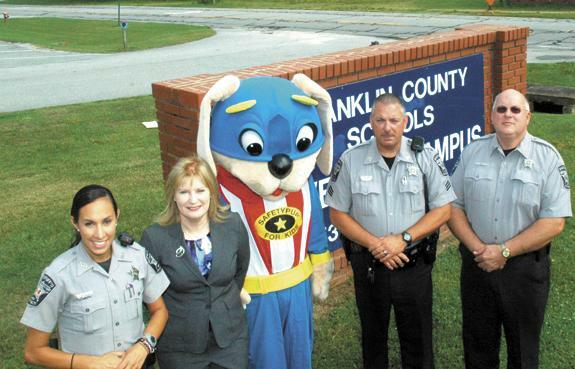 Thanks to a newly tabbed initiative, those resources are now working in concert to promote child safety across the county. The Franklin County Board of Education closed out its current fiscal year last Thursday by filling a long-vacant assistant superintendent’s position, renaming a department and handing out a little over $9,000 in bonuses to top administrators. The board named Rhonda C. Schuhler as assistant superintendent for curriculum and instruction, giving her a three-year contract. Sheriff’s deputies are looking for suspects who tried to break into an occupied home. Quentin Bullock reported the morning of June 30 that he and his wife were asleep inside their Stephen Taylor Road home when a loud noise woke them up. According to the report by Dep. A. Andrews, Bullock looked but did not hear anything. Franklin County sheriff’s deputies are investigating allegations of an armed robbery. Justin Fuller reported the evening of June 27 that he was driving along Breedlove Road near Dyking Road when he pulled over to get a cigarette. According to the report by Dep. Kevin Perry, two black men approached the truck he was driving from opposite sides. LOUISBURG — Courthouse staff have made it easier to pay costs and fines. Late last month, they installed equipment to allow visitors to be able to pay court costs, fines and other related fees using their credit/debit card. Courthouse staff can now accept Visa, MasterCard, American Express and Discover cards with valid government-issued identification.